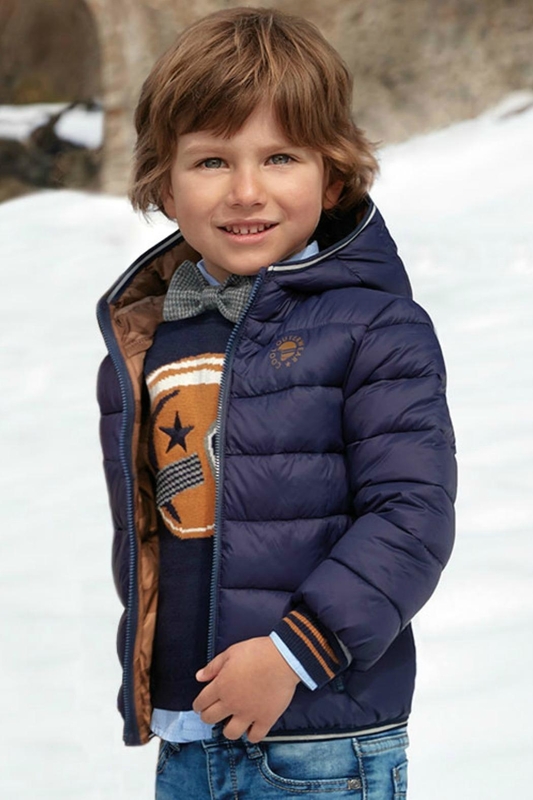 The perfect jacket for the little guy on the go! A hooded lightweight feathered effect jacket with elasticated cuffs, zip down front and an elasticated bottom hemline. The fabric is an amazing lightweight, breathable fabric which is very comfortable to wear, padded and stuffed with wadding. 2-slit pockets on the side, screen printing on the front left chest area stating "Cool Outerwear". 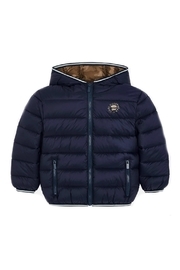 Jacket exterior color is navy with brown camo interior. A matching brown camo nylon bag is included as an accessory for storage.